Celebration times are moments to meet friends and family. 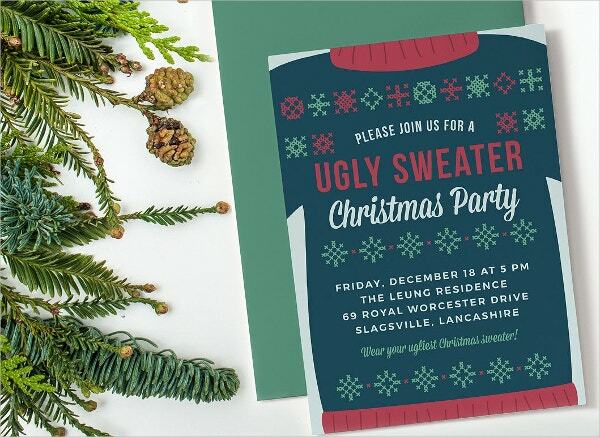 Planning for perfect Christmas parties begins with sending attractive Christmas invitation cards to potential guests. 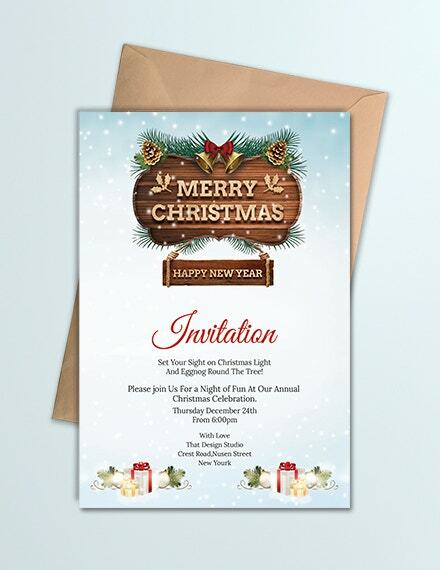 Using Invitation Templates enables you to prepare for your event effectively and efficiently. 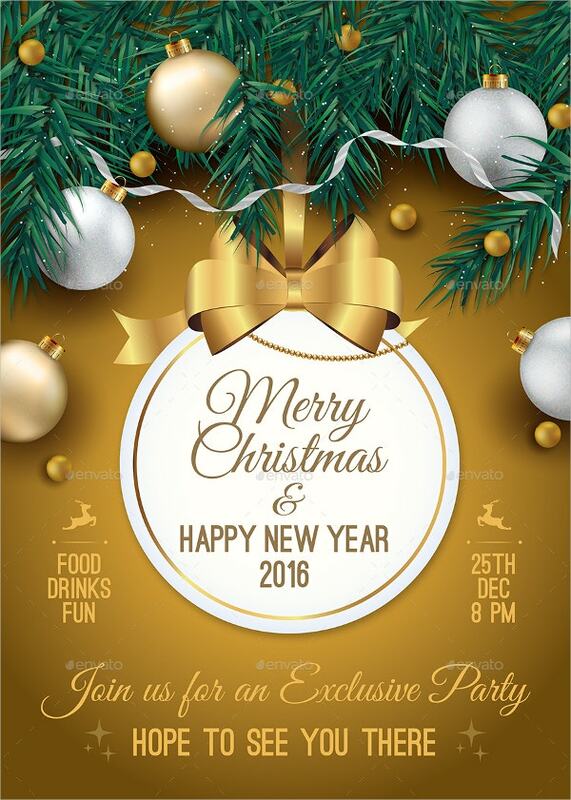 They are professionally designed in a wide range of sizes, shapes, resolutions, colors, models, and designs. You require making a choice based on your budget and needs. 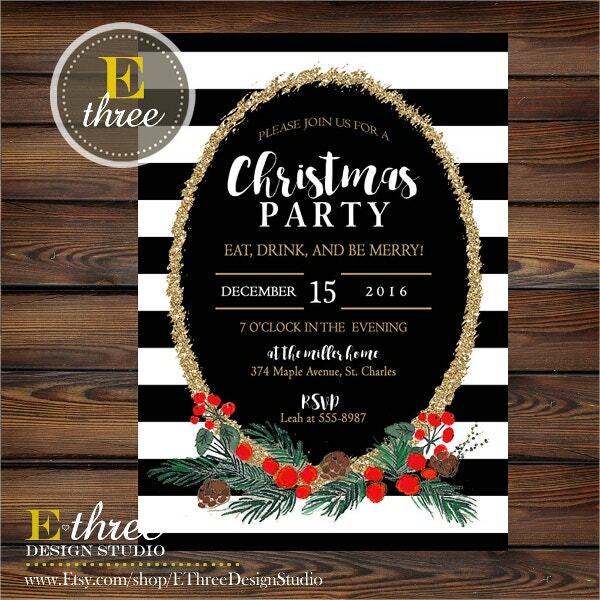 The theme of your event equally influences your decision. 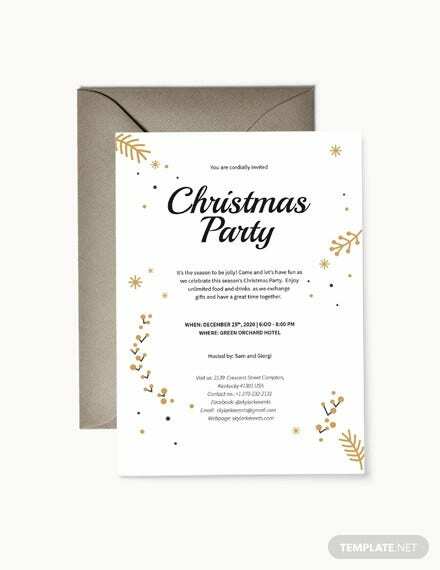 The Chalkboard Christmas Party Invitation Template in black and white comes as 2 PSD cards for the front and back pages. 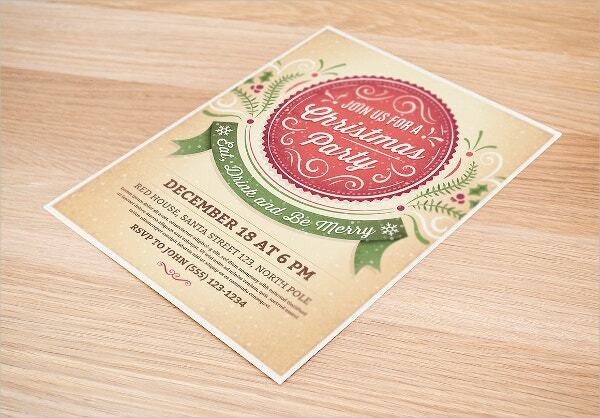 The editable and print ready card features free fonts and 300 dpi in CMYK color mode. 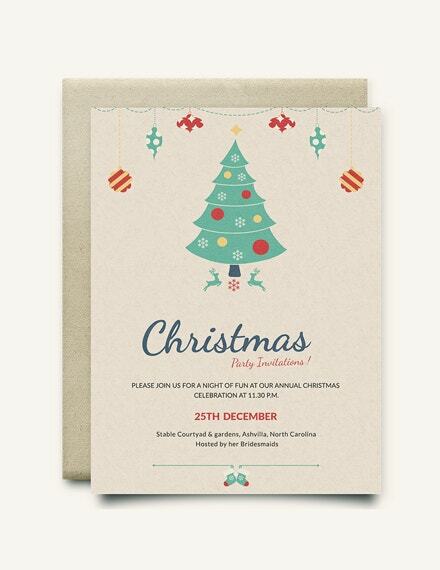 Use this Floral Christmas Template that comes in green and beige. These editable vector files of high resolution feature ribbons, flowers, and starts. The JPS files utilize Adobe Illustrator CS1+. 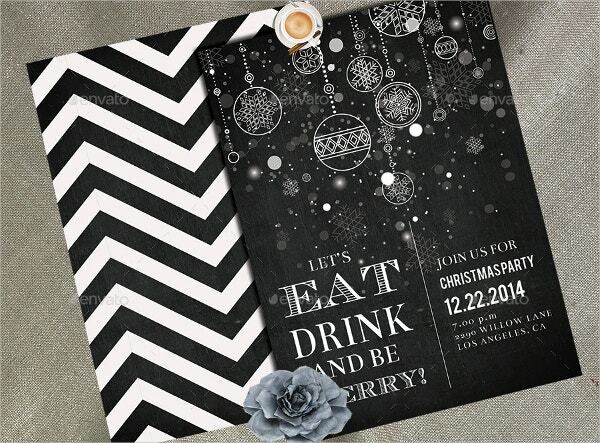 Design Christmas greeting cards using this Elegant Chalkboard Christmas Party Invitation. 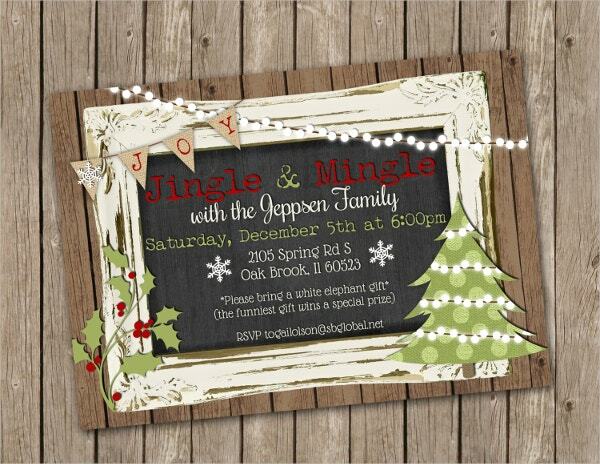 The handmade flyer in print-ready style is easy to customize and print on photo or card stock papers. 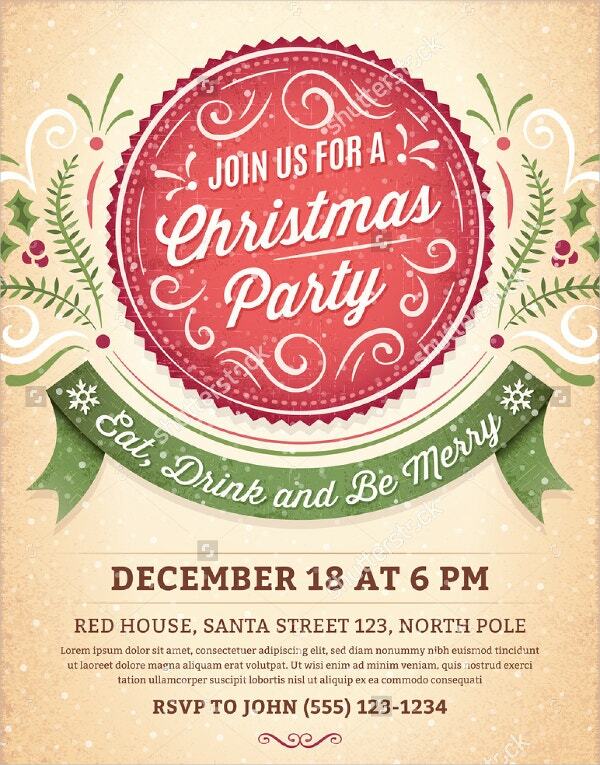 Download and modify the vector Christmas party invitation template that features toys. 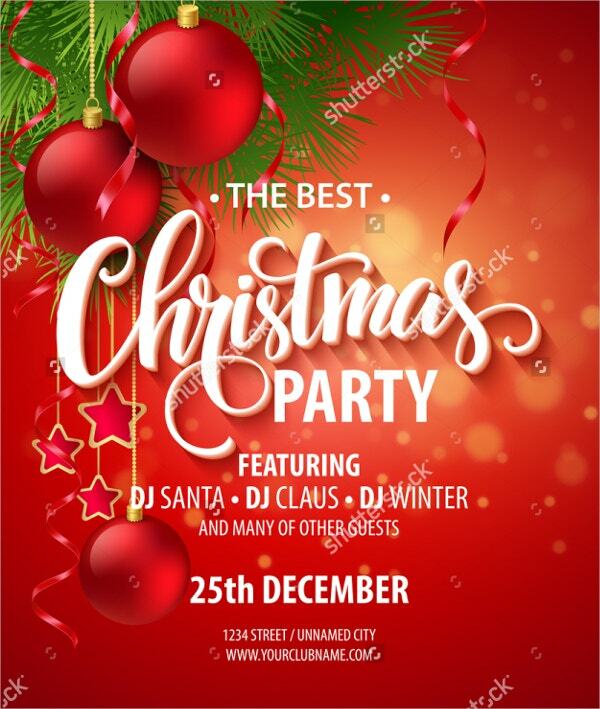 It designs suits banners. 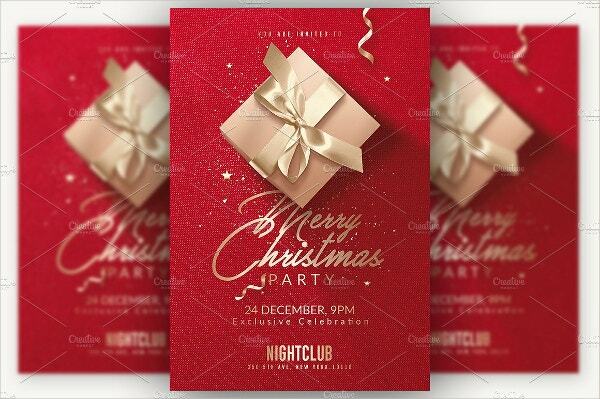 This graphic design takes pride in high resolution and multiplicity of sizes. 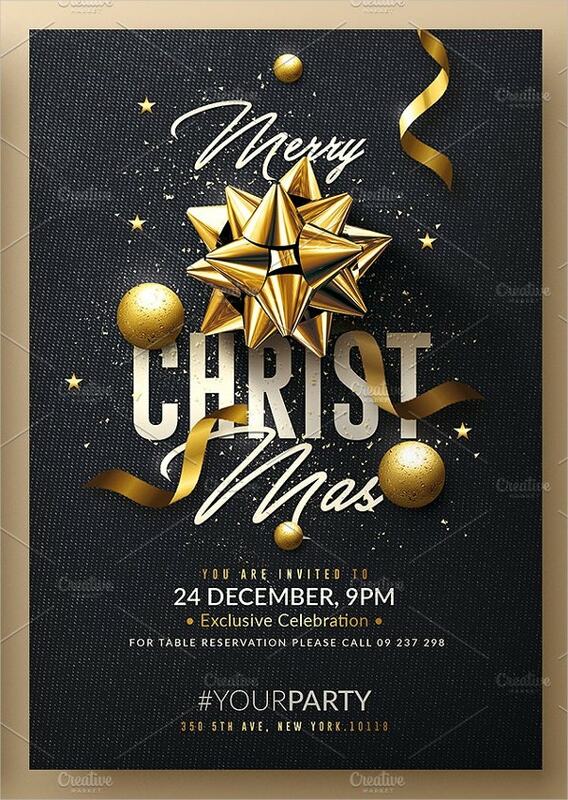 Use the classy Christmas greeting card that prides in editable PSD files. The print–ready template in CMYK color mode at 300 dpi resolutions contains bleeds, organized layers, and free fonts. 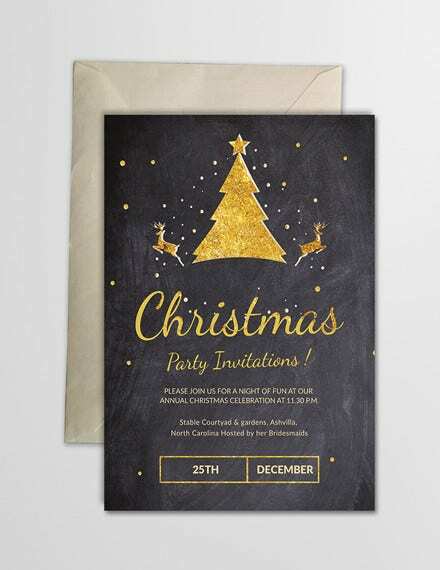 Buy, edit, and customize the fonts, shapes, colors, and wordings of the Christmas party flyer and invitation template. 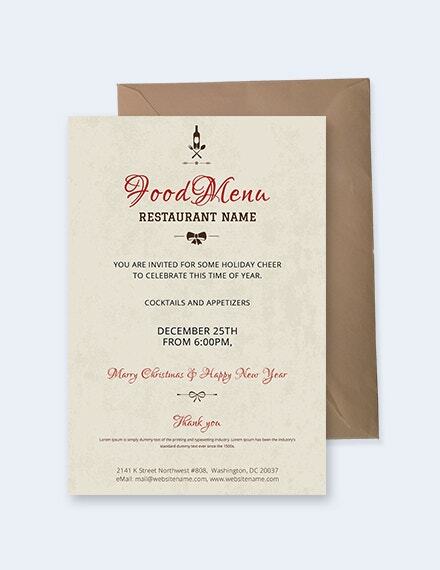 The 4 X 6 inches card with .25 bleed features free fonts, PSD file, and replaceable layers. 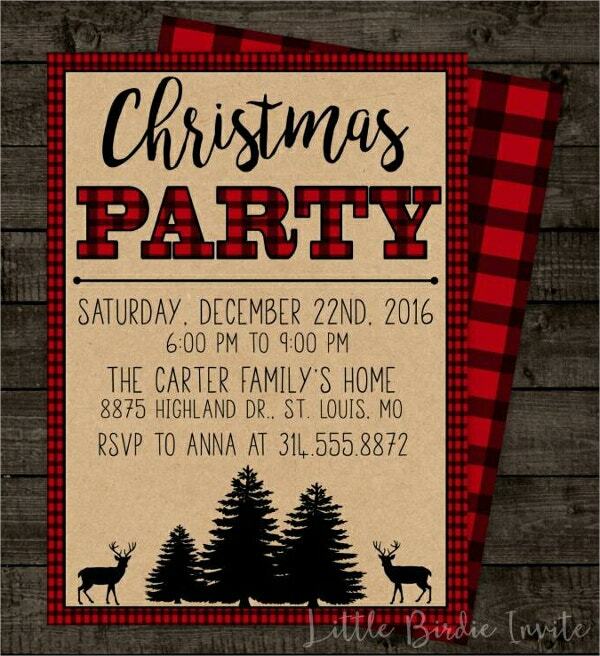 The Plaid Christmas Party Invitation Template in rustic design features a deer, customizable dates, and RVSP. This card for kids, banners, food labels, and thank you cards is handmade and printable. 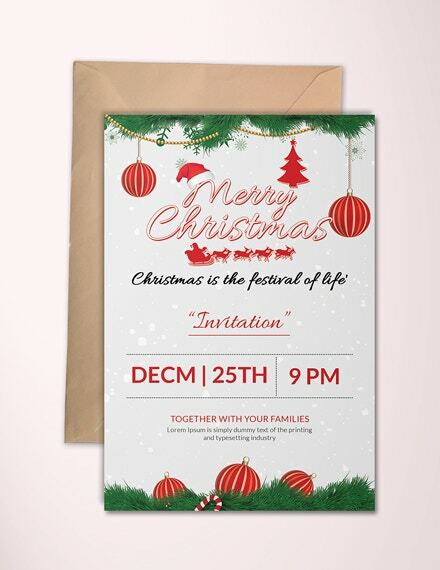 Use this Christmas Party Invitation Template to design your flyers and appreciation cards. 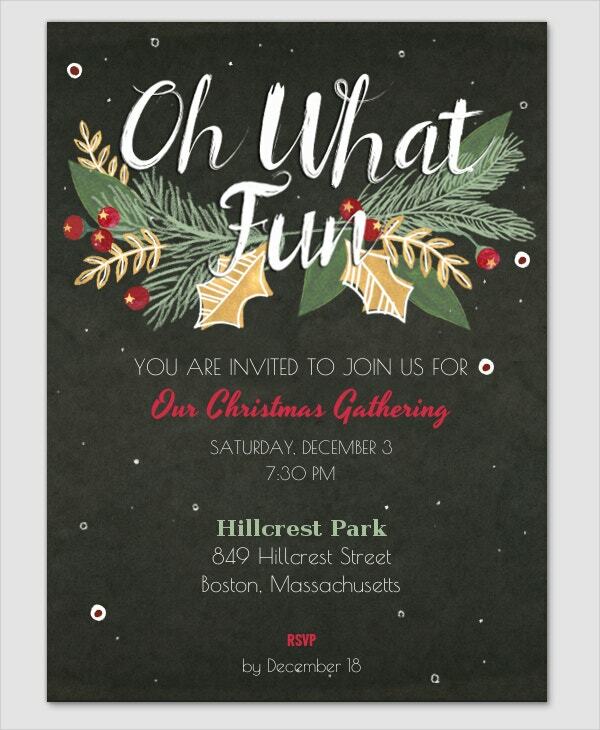 The A4 sized document with customizable elements contains bleeds, great vibes, diner-Fatt and Myriad pro fonts. 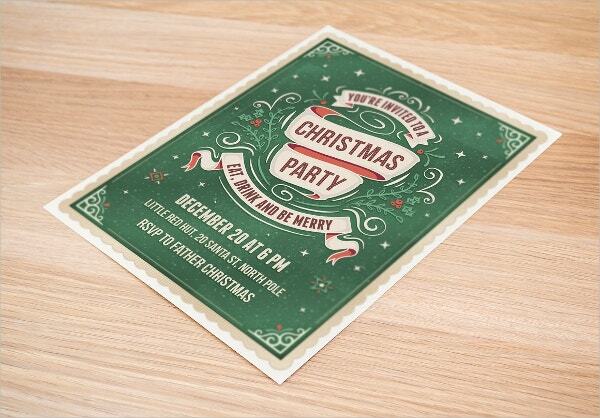 The Vector Christmas Greeting card features a beautiful design. It contains editable balloons, ribbons, stars, colors and texts at high resolution. 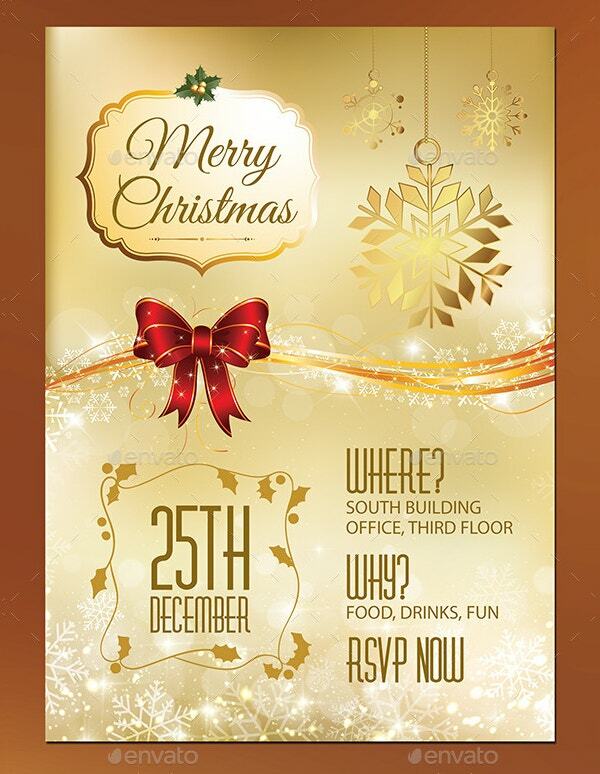 This Christmas template for party invitation is available for purchase in flyer design. 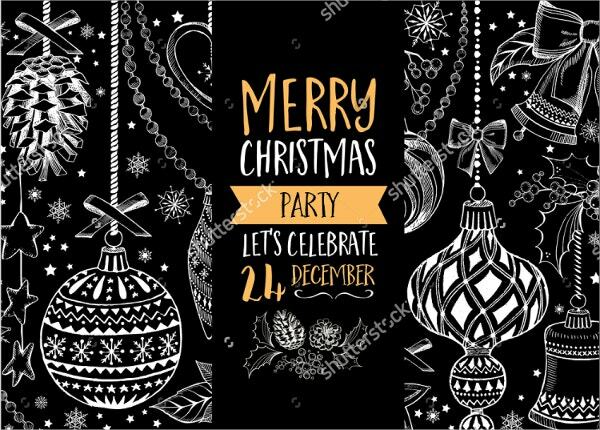 The package of 10 PSD files in black and white is editable and printable with free fonts at 300 dpi resolutions in CMYK colors. 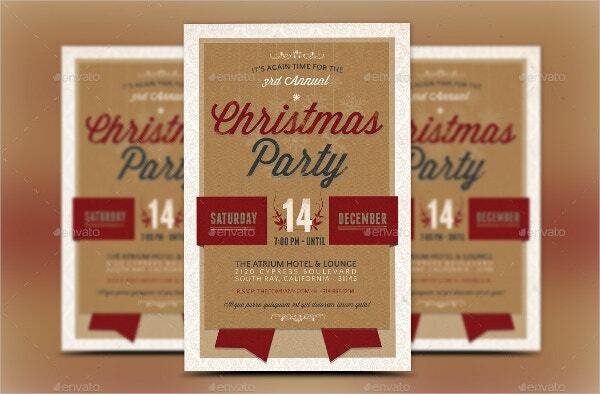 Use the hand-made holiday party invitation that prides in its high quality to invite and thank your friends. 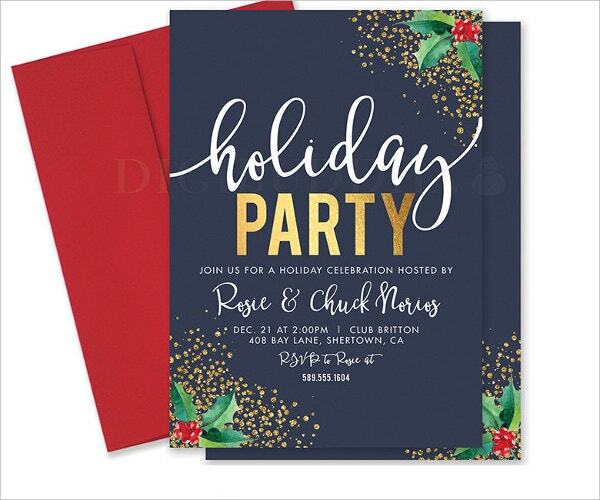 They come in shimmer signature and basic paper choices with envelope liners. 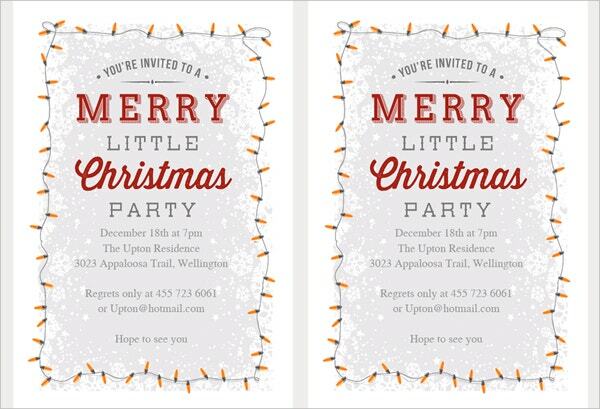 Use these Christmas templates as invites in your thanksgiving events. 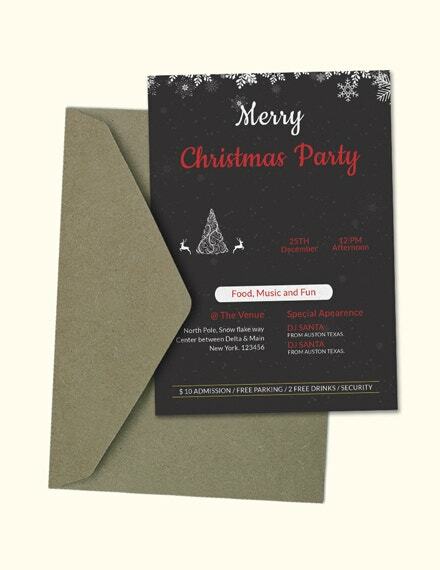 The US letter sized flyers with bleeds in AL format contain layers, changeable colors, and customizable texts in green and gold. 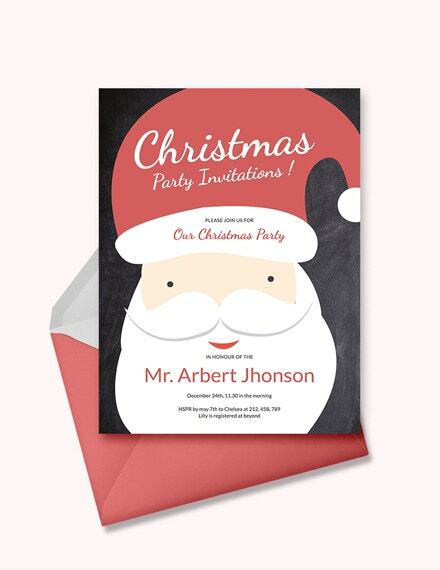 The Merry Little Party Christmas greeting card takes pride in simple customization. You can print or download and send it online. 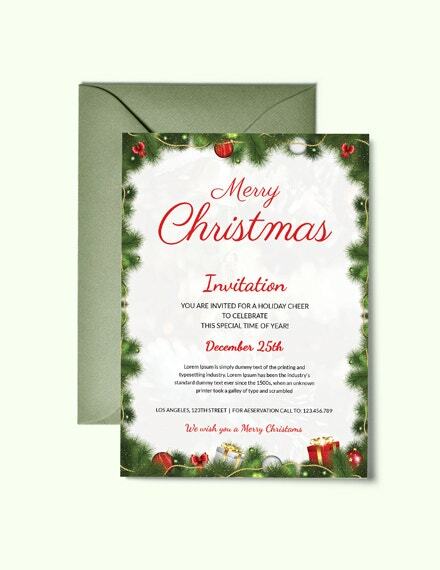 It comes in glass or matte paper with envelopes. 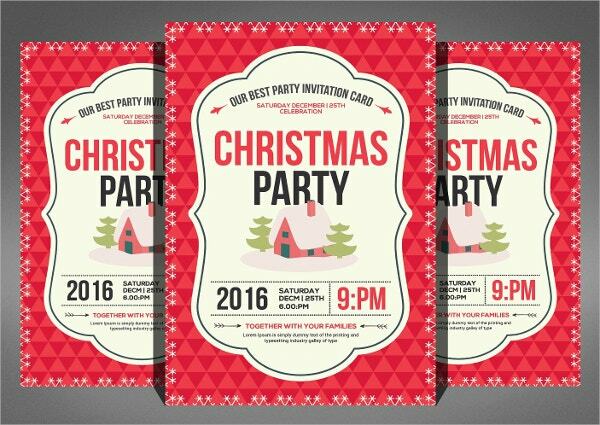 This Professionally Designed Christmas Party Invitation Template comes in beige, red, and green. 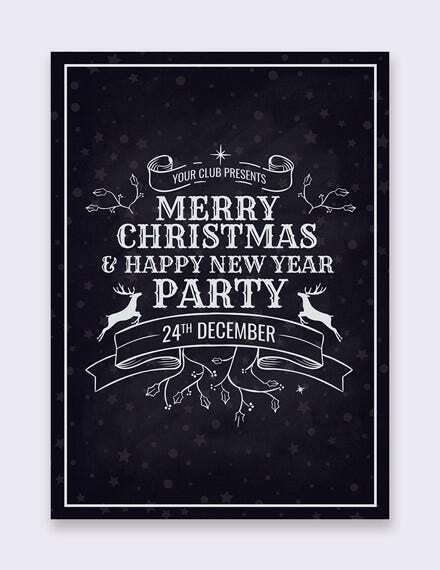 You can add your texts or images on this AL vector file depending on Illustrator CS 1+. 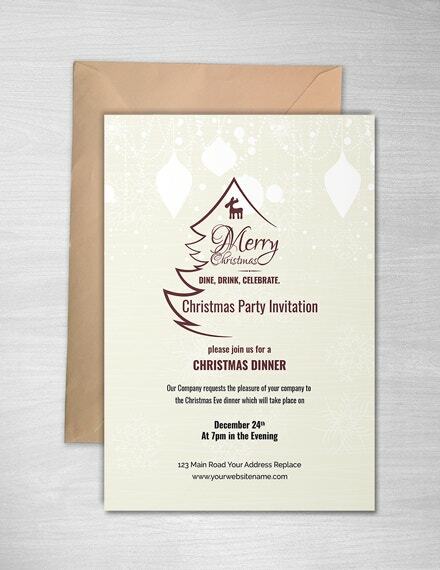 Purchase this Rustic Christmas Invitation templates for your merry-making parties. 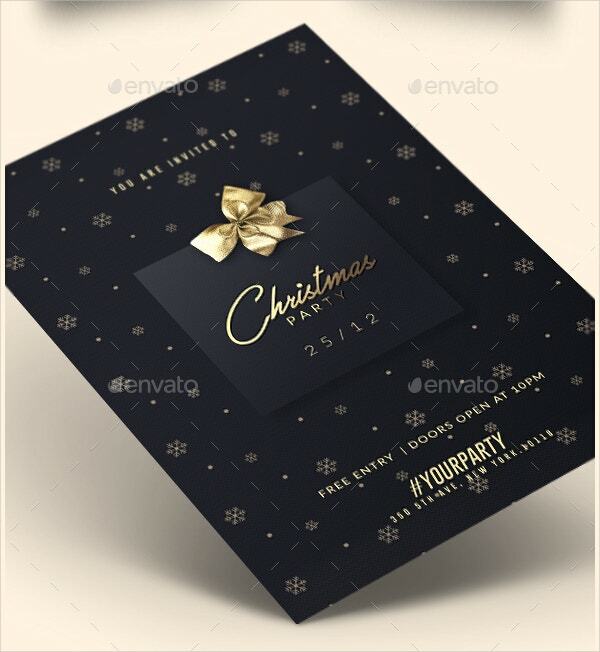 The hand-made card on stock paper is printable. It is downloadable in JPG, PDF, and PNG formats. It is modifiable and takes pride in CMYK/ 300 dpi resolution. 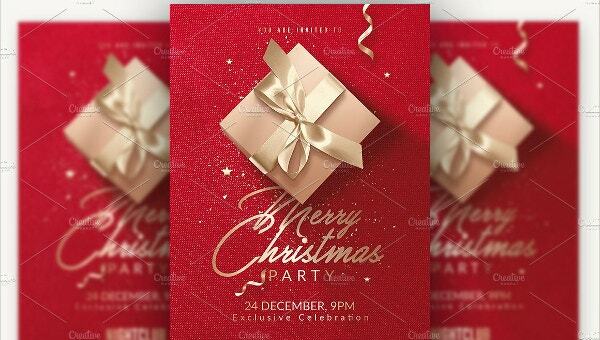 Finally, after selecting your preferred Christmas Party Invitation Template, you should focus on modifying it to make it suit your event. 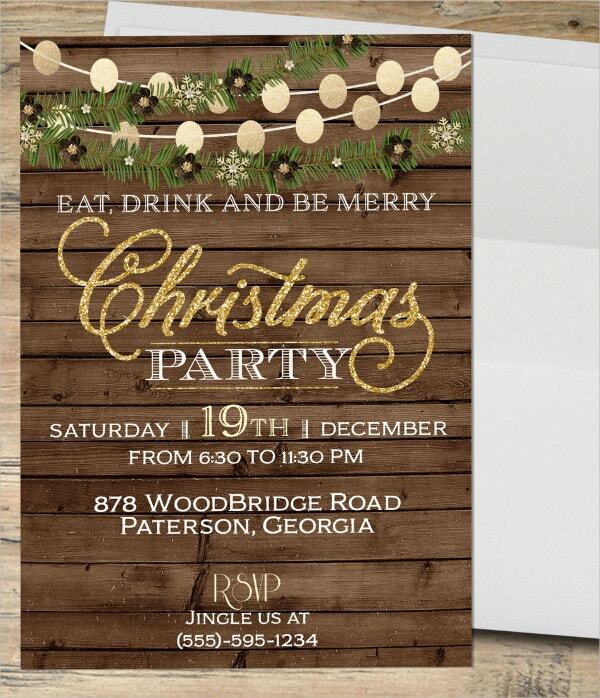 You can adjust the colors, images, texts of RSVP, and images. Note that you do not always have to purchase them since are available free of cost for online use and printing.